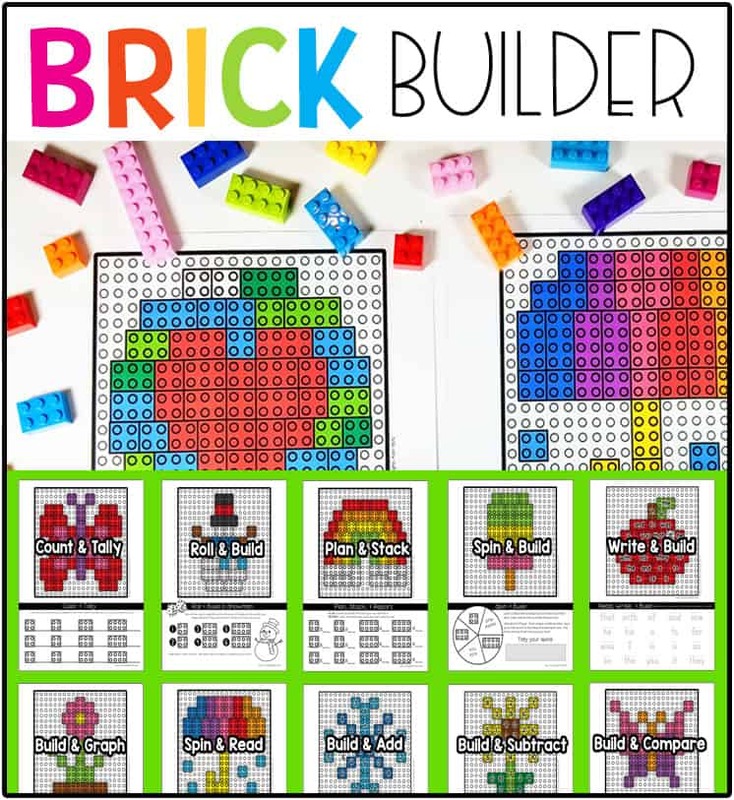 How to Use: This set includes a colorful skip counting chart and 9 follow up worksheets for the numbers 2-10. 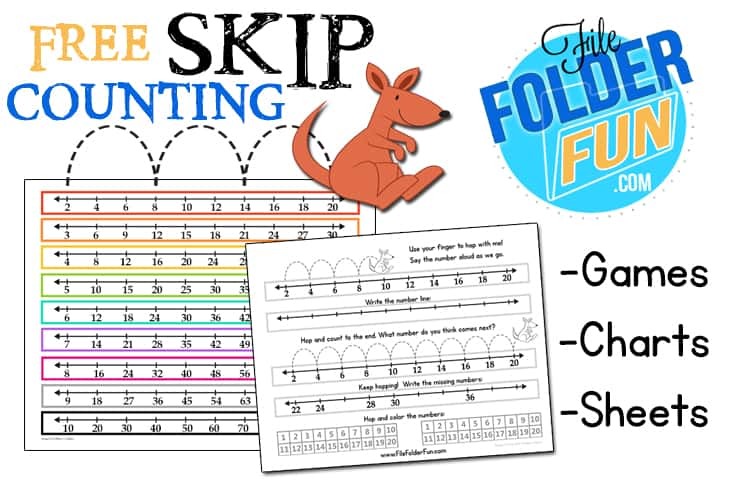 Children use the chart to practice skip counting then follow the prompts on each worksheet. 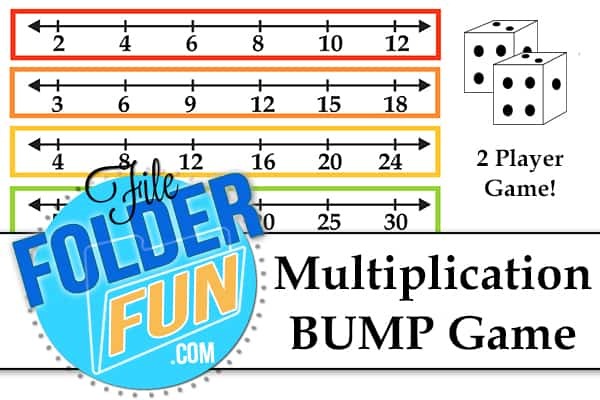 Optional Game: Skip Counting BUMP is played by rolling two dice and then marking a space on the number line. If you roll a 4 and a 2 for example you can either mark off 2×4 (8) or 4×2 (8) on either number line. The goal is to get four in a row so you need be strategic about where you place your token. If someone is already on a number you can bump them off!